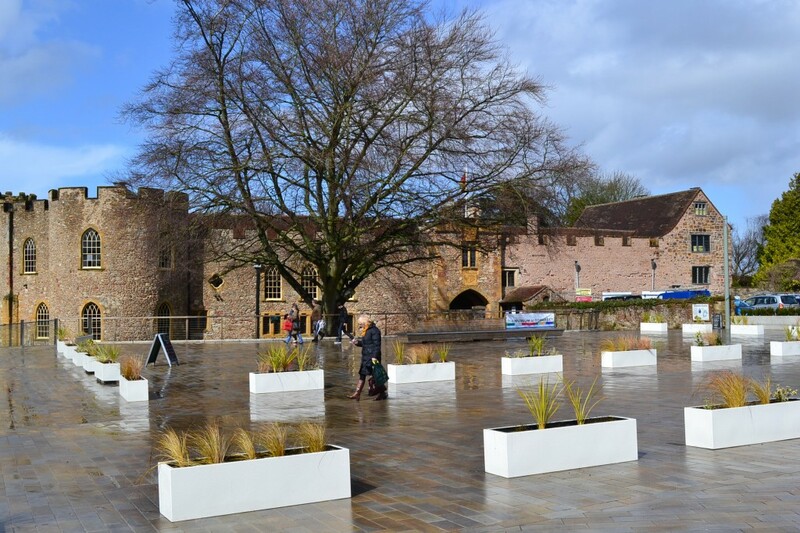 Taunton Castle now houses the Museum of Somerset, which is a fabulous place for both human history and natural history, with fossils and other fascinating things from the prehistoric past. It’s definitely worth visiting if you’re in the West Country! 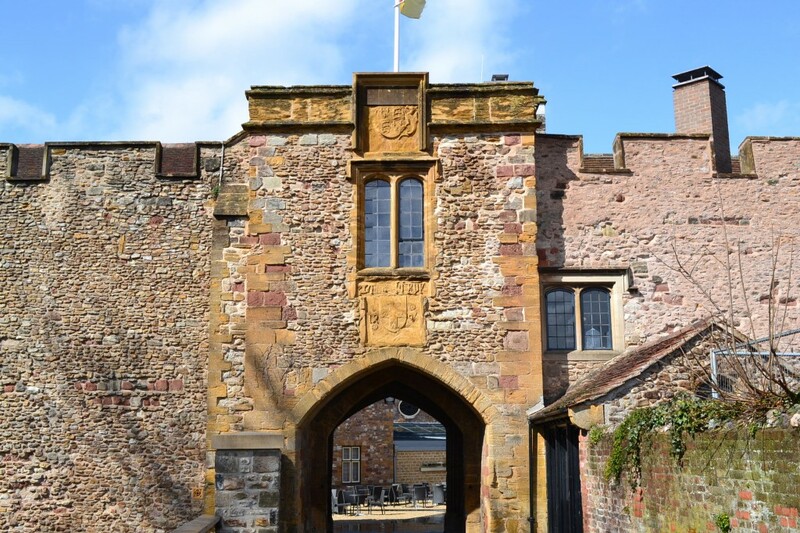 I came to Taunton Castle to research more about the Monmouth Rebellion of 1685, and this building played a very important, very tragic role in that event. 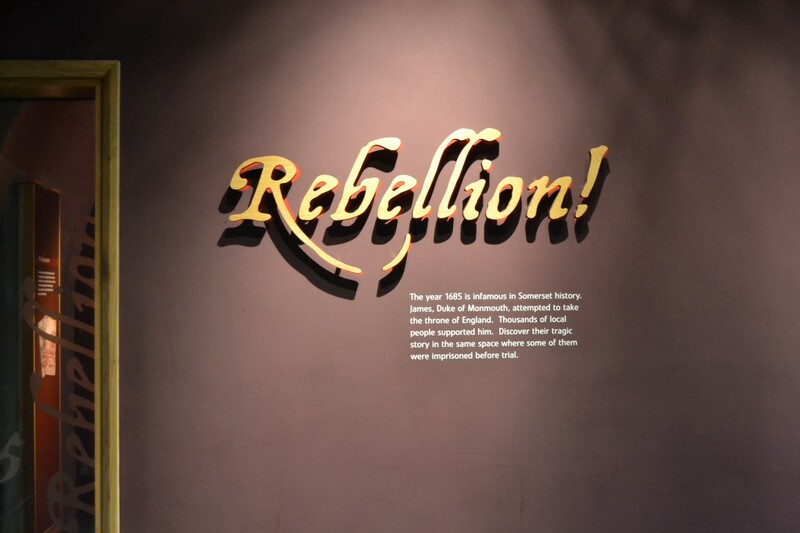 Fortunately, there is an exceptionally good exhibit dedicated to the men and women who joined the ill-fated rebellion in that summer almost 328 years ago. I chatted to a really nice lady who worked there and she said I was allowed to take non-flash photography, so I was happy because I could share this with you! 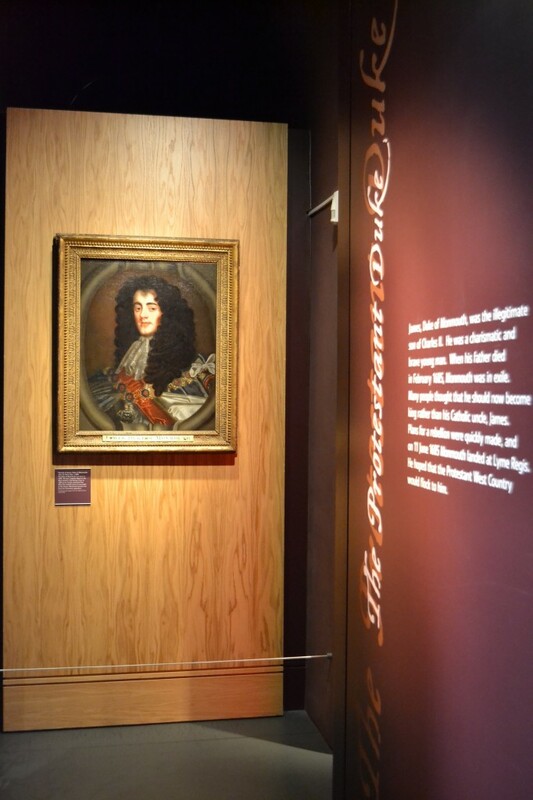 The Dashing but Doomed Duke of Monmouth is the first object to greet you in this exhibit. Hubba hubba. View of the room of the exhibit. 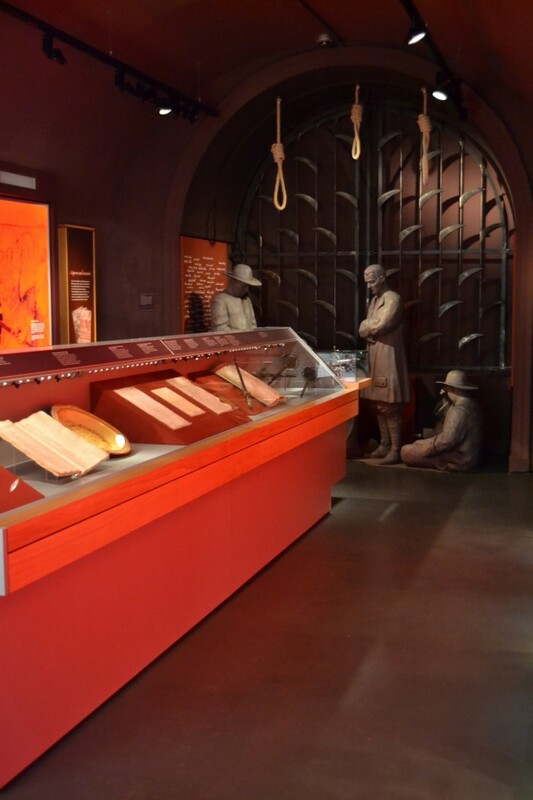 The slightly morbid fact surrounding this room is that these representational figures in the background are where real Monmouth rebels awaited their fate; for through the corridor where there is currently a portrait of Judge Jeffreys was the sentencing hall. 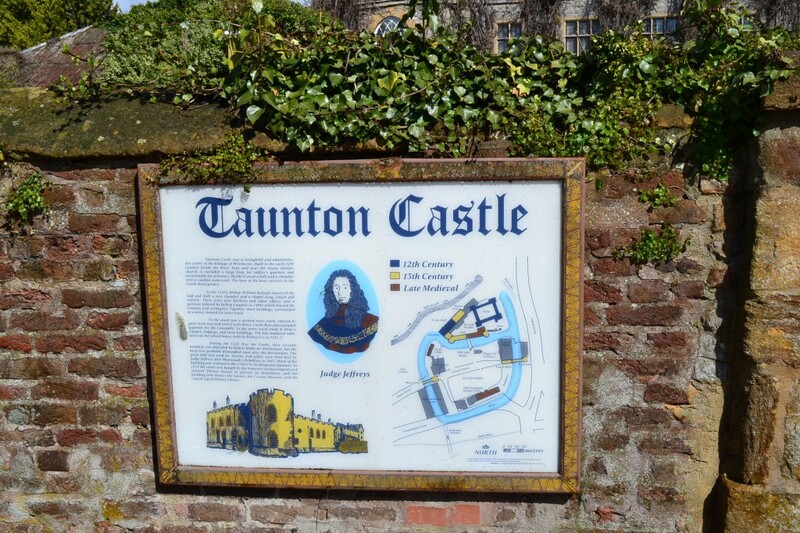 After the Battle of Sedgemoor, which ended Monmouth’s Rebellion, many rebels were hauled to this castle to await sentencing. 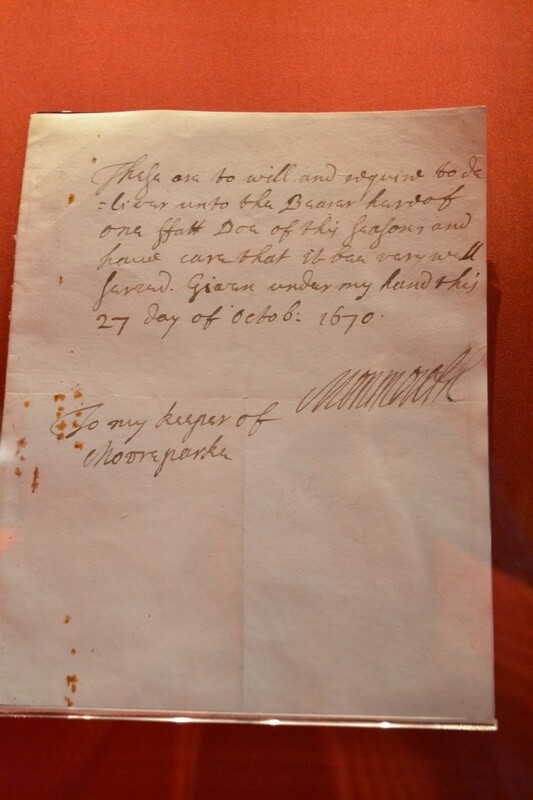 I did a little happy dance when I saw this letter written and signed by the Duke of Monmouth, from his height of power in 1670, asking for “one ffat doe” to be delivered to his Moor Park keeper. 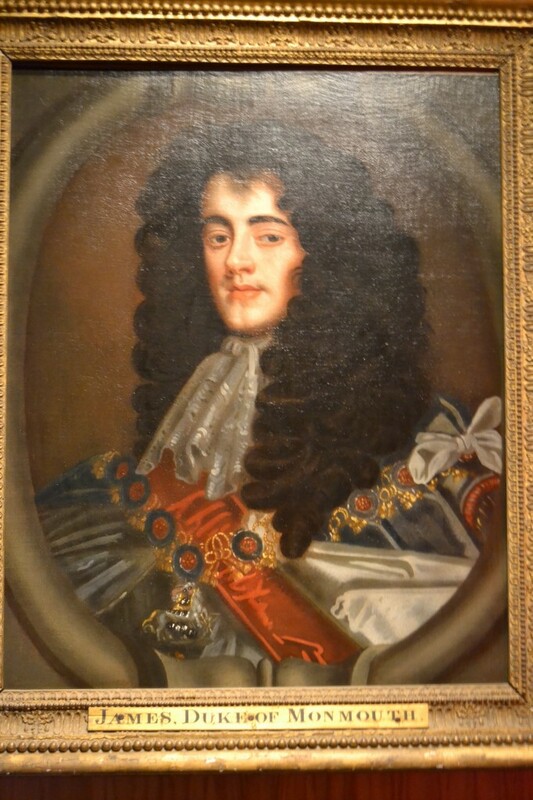 Monmouth owned Moor Park at this time in Hertfordshire. It still exists, although it was much altered by subsequent owners. 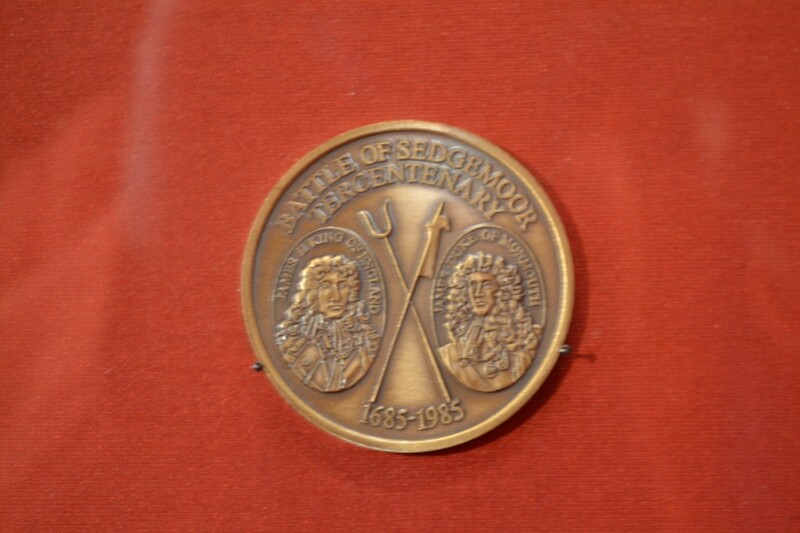 Also on display were several artefacts from the battlefield, which were similar to those on display at Blake Museum, though I couldn’t take photos there. 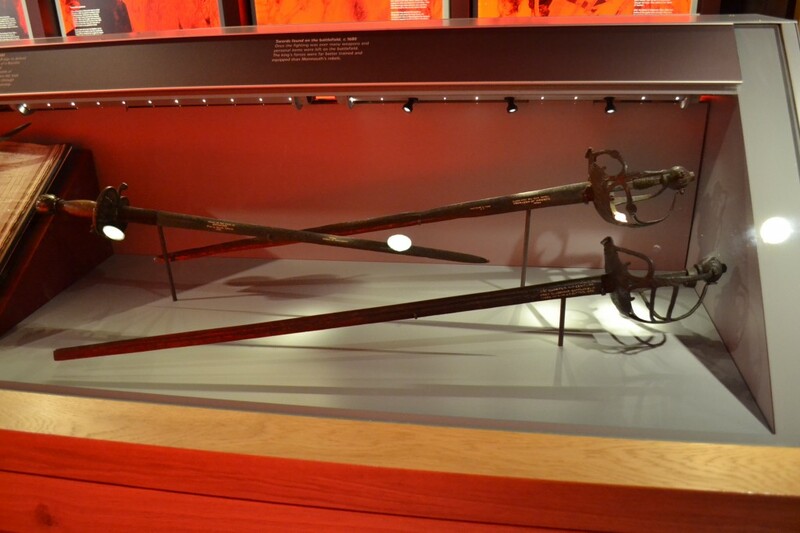 This halberd and bill hook [which the museum labelled as steel pikeheads] that would have been affixed to long wooden pikes – quite deadly weapons! 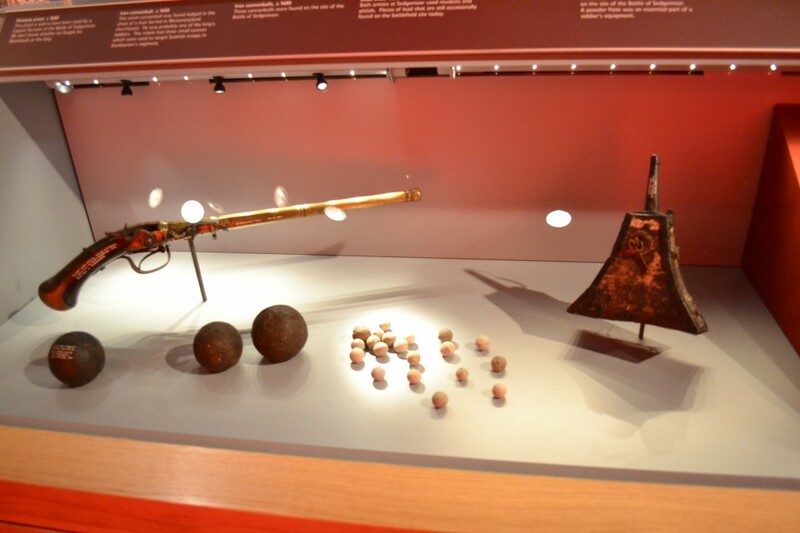 Next, we come across a flintlock pistol, iron cannonballs (which are about the size of my palm, so don’t run away with the idea that they were huge cannonballs, ok? 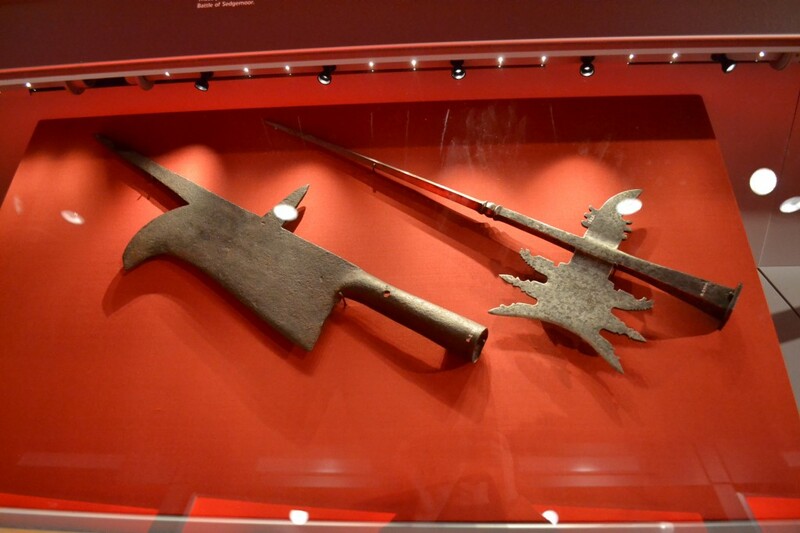 ), a powder flask, and lead shot (both armies used muskets and pistols, though the rebels generally had more antiquated arms). 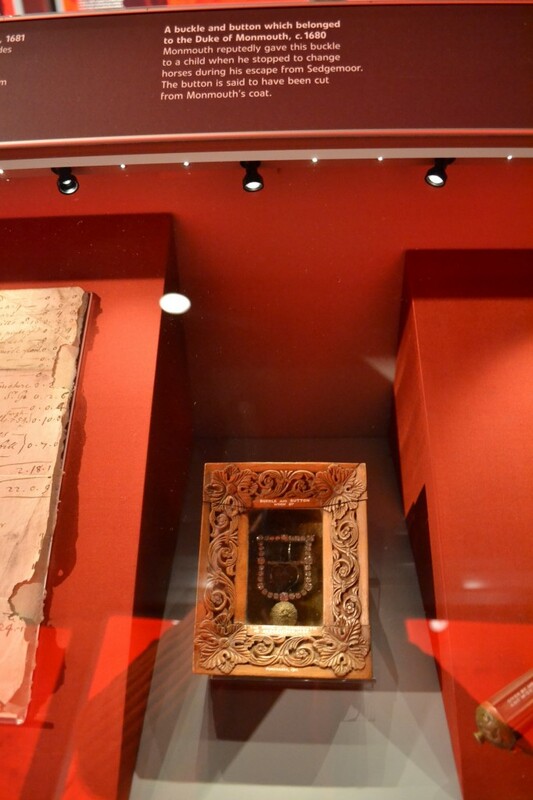 Here is a spy-glass which is made from parchment. 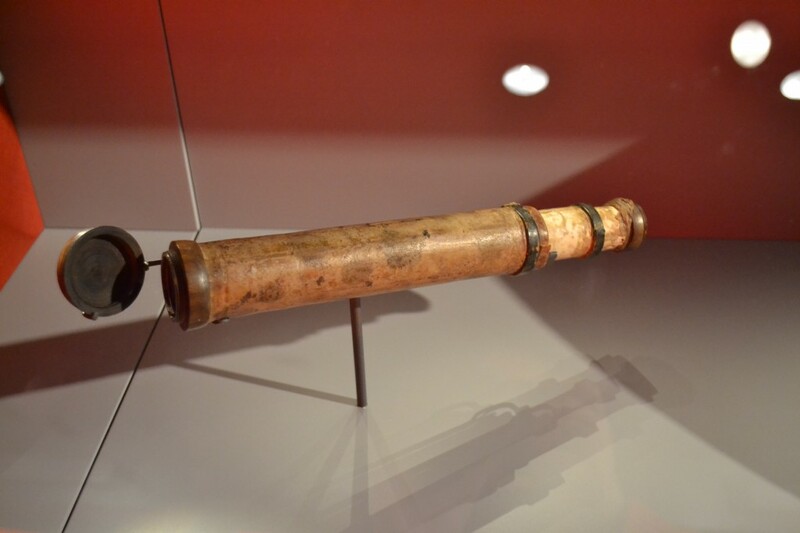 Monmouth and Lord Grey probably used something similar to this when they climbed the Monmouth Tower at St. Mary’s Church, Bridgwater to survey the area and get an idea where the royalist encampment was. 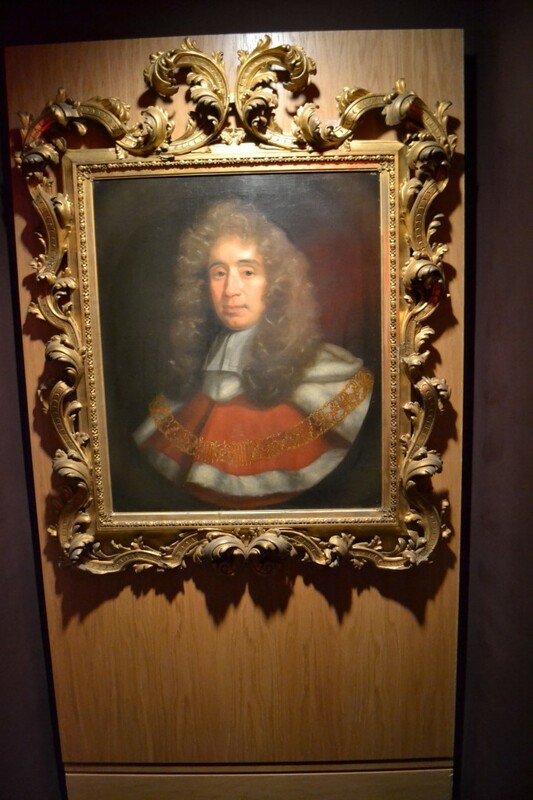 Here is Judge Jeffreys, the infamous Hanging Judge. 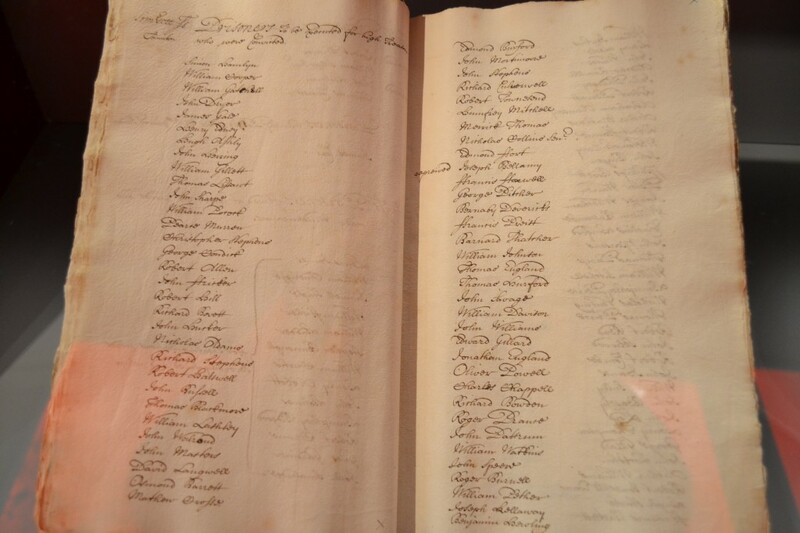 He decided the fate of many a rebel, and the cruelty administered under him has given him a black name. 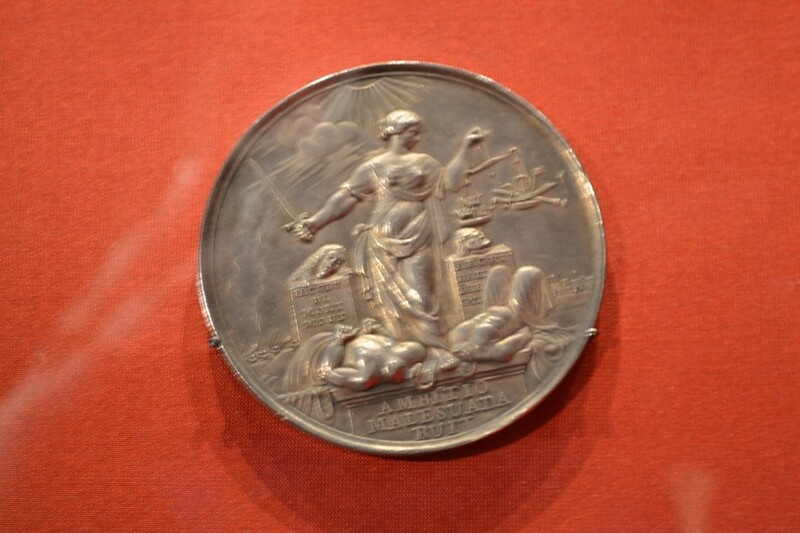 I’m really glad I was able to take a photo of the next coin which shows the figure of Victory standing holding the scales of justice in one hand and a sword in the other. She stands over the beheaded bodies of two rebels. 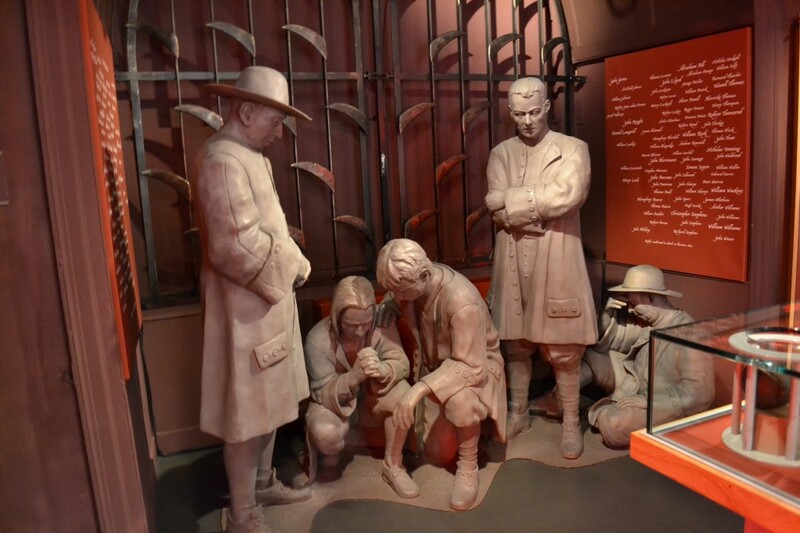 I found this exhibit extremely moving, even though probably none of my ancestors were involved in this, I still felt great empathy for those involved either directly or indirectly with the events of the terrible summer of 1685. Enjoy isn’t quite the word I’d use, but your photos and comments are excellen t. I appreciate both the church and the castle using life-size figures to represent the dispair felt by the people held in these places … the men praying touched my heart. 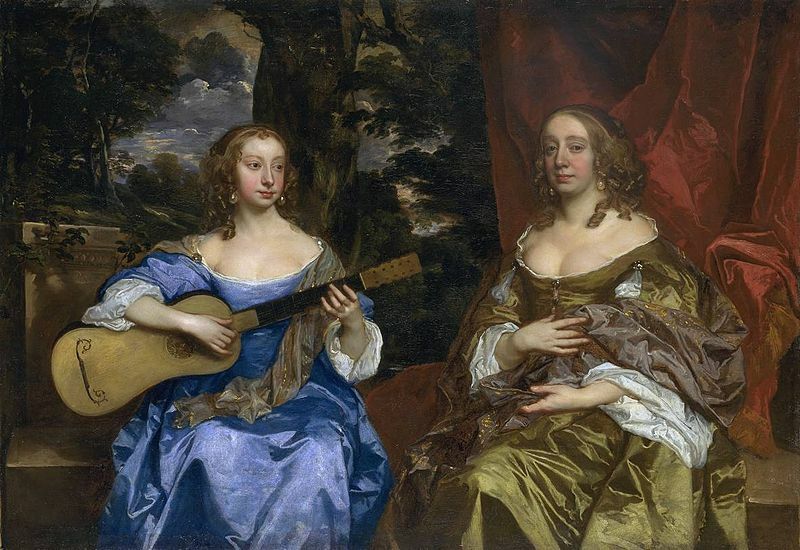 I have been looking for Lady Alice Beconsase Lisle who was supposed to be the first victim & beheaded. Would-like to find out where it happened. She is my 9th great grandmother. 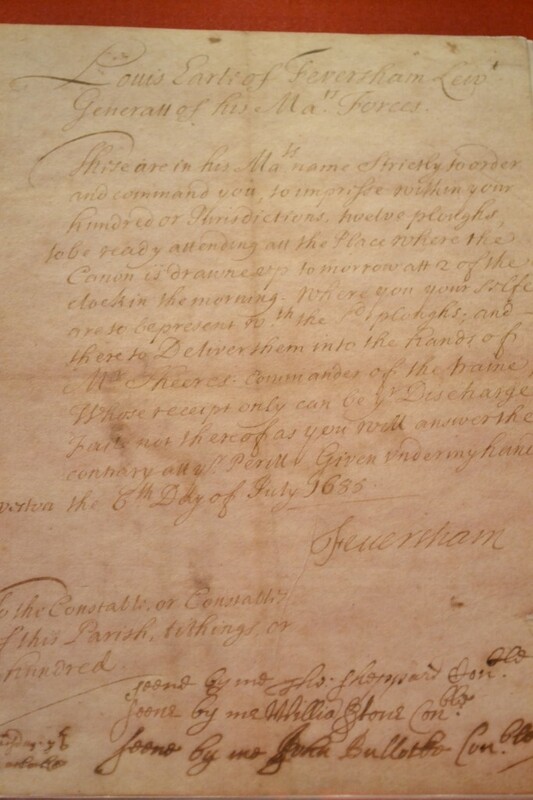 Her surviving daughter, Dame Alicia Lisle, married my 8th great grandfather, Robert Whitaker, so starts my lineage now in America!